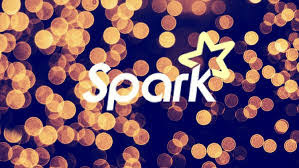 Hello guys, if you are thinking to learn Apache Spark to start your Big Data journey and looking for some awesome free resources e.g. books, tutorials, and courses then you have come to the right place. In this article, I am going to share some of the best, free online Apache Spark courses for Java, Scala, and Python developers. If you don't know what is Apache Spark? and Why it's so important in the Big Data world then let me give you a brief overview first. Apache Spark is another cluster computing framework like Hadoop which is used to analyze a huge data set, but it's much faster as compared to Hadoop which makes it ideal for today's high computing needs e.g. processing huge amount of data. One of the challenges while processing a large amount of data is speed as it can take hours and days to train a machine learning algorithm with real-world data. Apache spark solves that problem by providing fast access to data for machine learning and SQL load. It provides 100 times faster speed when doing in memory calculation compared to Hadoop and 10 times faster if it's doing MapReduce off a disk. Btw, that's a 10,000 view of Apache Spark, in order to use it in your project or work with it as Big Data consultant you need to know a lot more than that and that's where these free courses will help you. These free Apache courses will not only teach you fundamental concepts e.g. why you need Apache Spark if you have Hadoop? Or explain how does Apache Spark get is lighting speed along with key Apache Spark abstractions like Resilient Distributed DataSet or RDD. Btw, for Java and Scala Developers who are looking for best Spark course and doesn't mind paying $10 for their learning, I suggest to check out Apache Spark 2 with Scala - Hands On with Big Data! by Frank Kane on Udemy. This is one of the best resources to learn Spark with Scala. Since Big Data and Apache Spark is language agnostics, I have included courses for Java, Scala, and Python developers. They all are free now but no guarantee how long they will remain free as sometimes instructor converts their free Udemy courses into Paid one, particularly after they achieve their promotional targets. It's better to join them now even if you don't have time to learn. Once you join them they will be free for life and you can learn on your own schedule. This is one of the best course to start with Apache Spark as it addresses the fundamentals which you would want to learn. As the author claims this course is better than several paid course on Apache spark and he is somewhat right. The 15K students enrolled in this course also justify that claim. The course tries to bridge the gap between what information available in Apache Spark documentations and other courses and what developers are really looking for. It tries to answer many of the frequently asked Apache Spark question on StackOverflow and other forums like why do you need Apache Spark if you have Hadoop, what is the difference between Apache Spark and Hadoop? how does Apache Spark achieve its faster computation? What is RDD abstraction etc? In short a great course to learn Apache Spark as you will get a very good understanding of some of the key concepts behind Spark's execution engine and the secret of its efficiency. If you are a Scala developer and interested in Apache Spark then this is the right course for you. In this course, you will how to develop an application using Scala and Spark using IntelliJ IDEA. The course will teach you how to set up your local development environment by installing Java and JDK, IntelliJ IDEA and Integrating Apache Spark with IDEA. All you need is a computer with 4GB RAM and 64-bit Operating system and some Scala experience. If you are Python developer but wants to learn Apache Spark for Big Data then this is the perfect course for you. In this free Spark course for Python developers, you will learn Apache Spark and Python by following 12+ hands-on, real-world examples of analyzing Big Data wich PySpark and Spark library. It's also one of the most popular course on Apache Spark in Udemy with close to 22K students already enrolled and more than 2000 4.9 ratings. You will start with the overview of Apache Spark architecture and then understand the Apache Spark's primary abstraction, the RDD or Resilient distributed datasets, a large amount of read-only data. The best part of this course is the real world examples of Big Data like aggregating NASA Apache Web logs from different sources, exploring the price trend by looking at the Real Estate Data in California, and finding out the median salary of developers in different countries using the StackOverflow survey data. 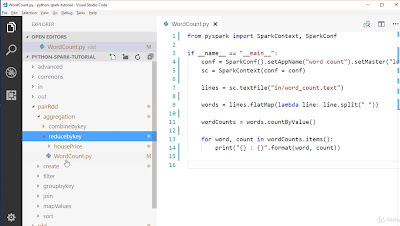 In the end, you will also learn to write Spark applications using the Python API - PySpark. As I told before, one of the major challenges in learning Big Data is set up your own, local development environment and that's where this course will help you. This course will explain to you how to set up your Apache Spark Development environment in Windows 10 laptop with 4 GB RAM. Once you complete this course you can take on other Python and Apache Spark course to learn better. If you want to start Apache Spark from scratch then this Pluralsight course is really nice. It explains why we can't use Hadoop to analyze today's Big Data and how Apache Spark's speed helps in modern big data processing. In this course, you will learn Spark from the group up, starting with the history before creating a Wikipedia analysis application to learn Apache Spark Core API better. Once you understand Apache Spark Core library it will also teach you the Spark libraries like Streaming and SQL APIs. In the end, you will also learn about things you should avoid while dealing with Apache Spark. Overall a good course to start with Apache Spark. Btw, this course is not exactly free. You need Pluralsight membership to access this course which cost around $29 per month but you get access to more than 5000+ courses on different technology. If you don't have a Pluarlsight membership then also you can take this course for FREE by signing up for a 10-day free trial. That's all about some of the best free courses to learn Apache Spark in Java, Scala, and Python. It's very important to make the right decision while analyzing big data i.e. choosing the right tools for the job. Modern day data is so huge that even Hadoop's batch processing model is not able to cope with that. At this time, you need Apache Spark's lighting speed to analyze modern big data sets. Thanks for reading this article so far. If you like these free Apache Spark courses then please share with your friends and colleagues. If you have any questions or feedback then please drop a note. P.S. - For Java and Scala Developers who are looking to start with the best course and doesn't mind paying $10 for valuable resource then you can also check out Apache Spark 2 with Scala - Hands On with Big Data! by Frank Kane on Udemy.